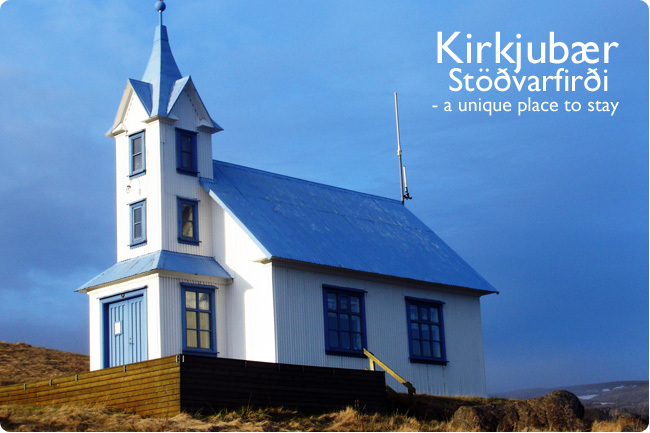 Kirkjubær is an old church and is therefore a unique guesthouse in Iceland. 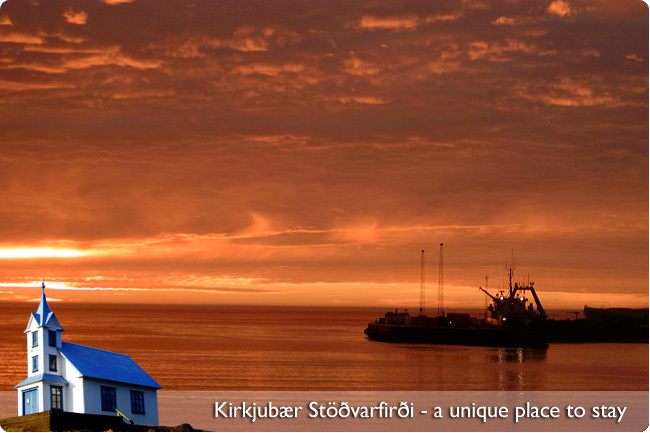 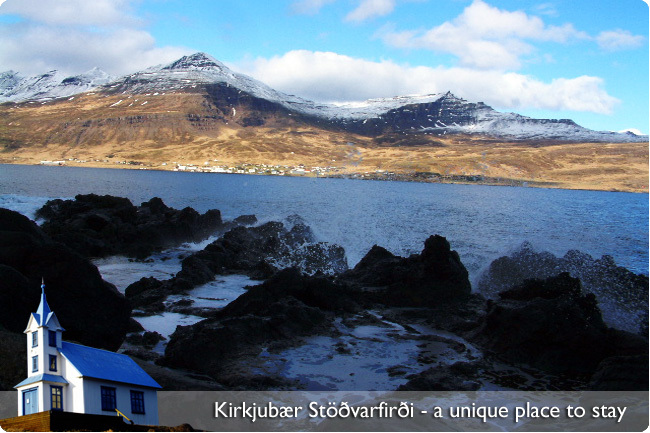 Kirkjubær is in Stöðvarfjorður which is one of the most beautiful towns on the east coast and famous around the world for Petra's stone museum. 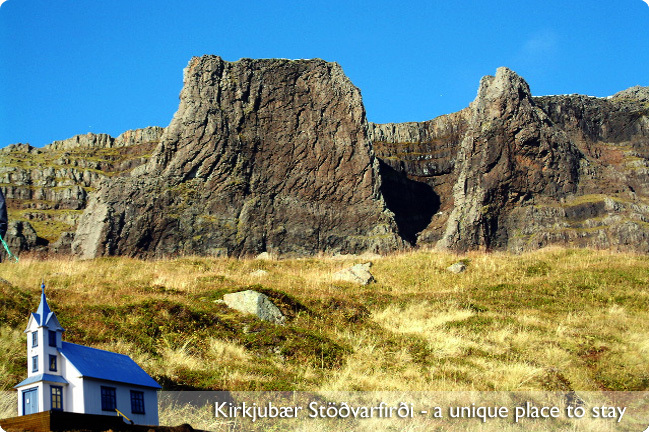 In Kirkjubær is room for 10 people and you can have either sleepging bag accomodation or bedline. 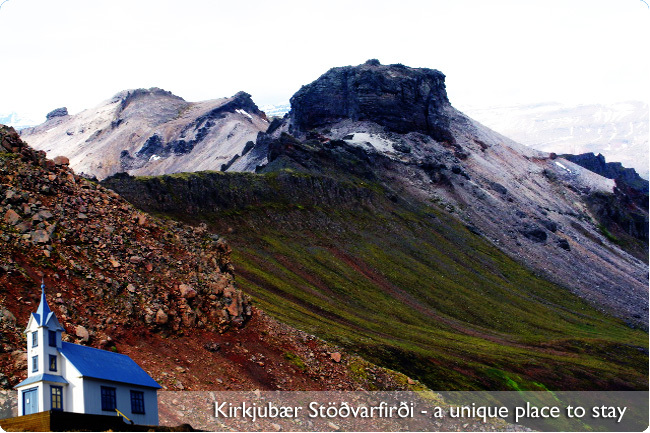 Many beautiful hiking are in the neighbourhood. 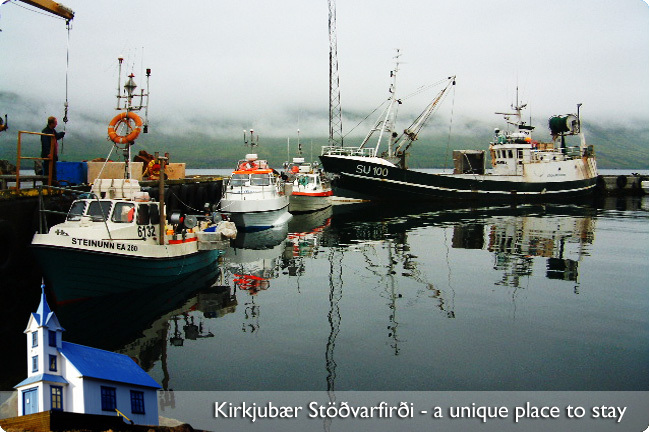 For fun you can go sightseeing and also is possible to go on a small fishingboat.